At the USAf Board of Directors’ last 2018 meeting on 24 October, new decisions ranged from endorsing new members to USAf structures to approving the 2019 operational plan. 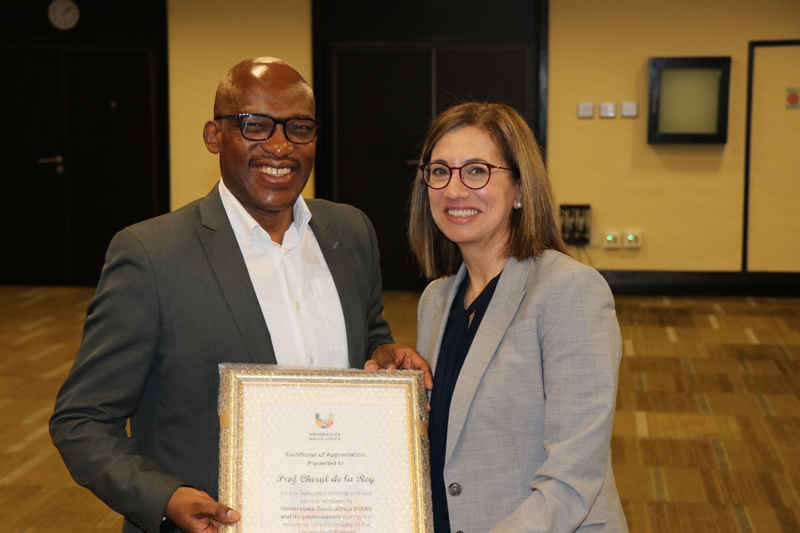 This meeting also marked the last sitting of, and bidding farewell to Prof Cheryl de la Rey who had recently resigned from the University of Pretoria’s vice-chancellorship. 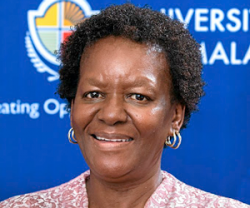 While expressing their appreciation of Dr Albert van Jaarsveld, Principal of the University of KwaZulu-Natal (UKZN) who had vacated his seat in September (coinciding with the end of his term), the Board also welcomed in their midst, the successor and new UKZN Acting Vice-Chancellor, Prof Nana Poku. An account follows below, of the USAf Board’s key decisions emerging from that meeting. As she received a token of appreciation from the USAf Chairperson, Prof Thandwa Mthembu, for her contributions over the years, Prof Cheryl de la Rey expressed deep gratitude to staff in the USAf office for their professional support to the Board and all the groups in which she had served during her tenure. 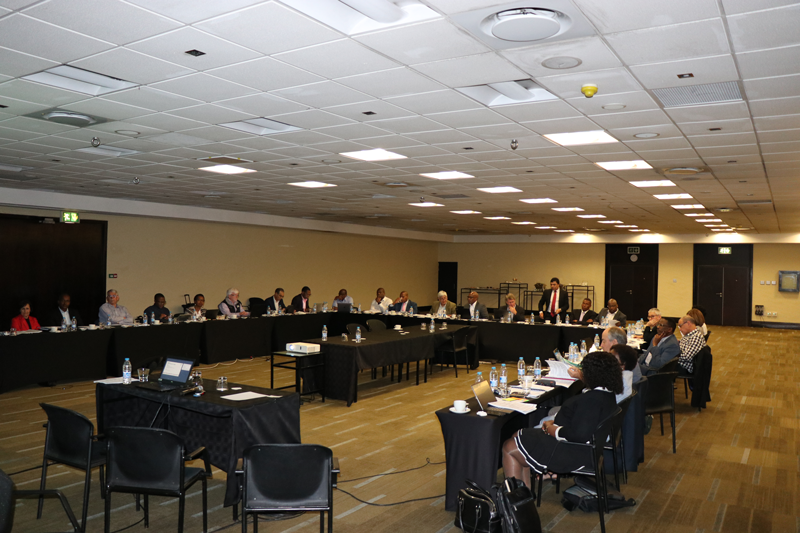 The Board endorsed Reinventing South Africa’s Universities for the Future as the overarching theme for the conference envisaged to take place in July 2019. This theme was deemed to be sufficiently broad to allow for a wide range of sub-themes being considered for discussion at this conference, the dates and other details of which are being explored in consultation with USAf’s Executive Committee. USAf’s Director: Operations and Sector Support is overseeing the conceptualisation, planning and execution of this event. Following the success of a one-day workshop on 31 August, 2018, which explored a formal name, an operating model for the new strategy group and inter-linkages with USAf’s other strategy groups, the Board approved the recommended name: World of Work Strategy Group. The Board also endorsed the four proposed work streams, namely: a) Impact of New Technological Trends and Sociological Changes in the Workplace; b) Work Integrated Learning and Internships; c) Entrepreneurship Development in Higher Education and d) Graduate Destinations. The Board also ratified the decision of USAf’s Executive Committee to first get this new group off the ground, for it to draw up its strategy and work programme before it could identify other external partner organisations to involve in its work. The World of Work Strategy Group is expected to take off in earnest in 2019, once its terms of reference, strategic orientation, membership and an operational plan have been finalised. USAf has for a while been actively engaging national and international partners on the OA2020 initiative, a worldwide campaign to abandon the current subscription route to accessing scholarly journals across the globe, in favour of an open access model of unrestricted use and re-use of scholarly outputs based on a “pay-for-publication” model. The latter promises transparency and sustainability of publishing costs. With many countries having joined the OA2020 initiative and lobbying South Africa to follow suit, the Board granted a mandate to the USAf Office to join the campaign for the new model. To that end, the USAf CEO will attend the 14th Berlin Open Access Conference scheduled to take place from 3 to 4 December in Germany, and to articulate SA’s universities’ standpoint in this regard. He will be attending the conference alongside government delegates from the Department of Higher Education and Training (DHET), the National Research Foundation and the South African National Library and Information Consortium. The Board of Directors mandated the USAf Office to join the global campaign for the open access model of unrestricted use and re-use of scholarly journals on a “pay-for-publication” basis. The Board learned that ISFAP, currently being piloted at 11 universities and one TVET college — where it was supporting up to 1,303 students (with the majority being in the STEM disciplines), was set to expand to additional institutions in 2019. In response to a previous USAf Board request to consider channelling funding to Honours students so as to maintain the pipeline to post-graduate studies, ISFAP was gearing itself up to play a role in this regard. 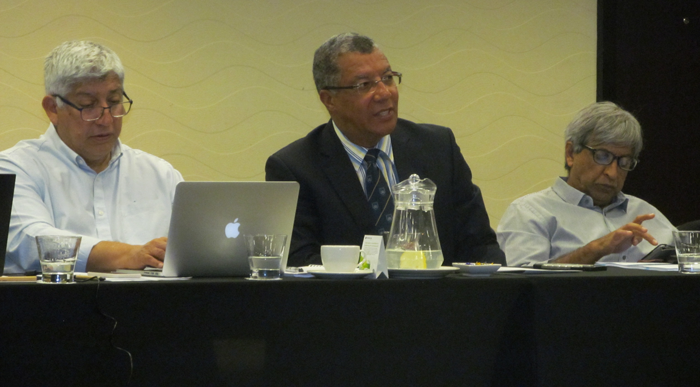 ISFAP’s Deputy CEO, who addressed the USAf Board on 24 October, said their model, fully funding students in programmes linked to high demand occupations, had a proven 96% retention rate. ISFAP was therefore a promising model with potential to significantly reduce dependency on the national fiscus.